RF power last based on 150 Watt RF resistor 50Ω with inductance 5 nH. Resistor tolerance 1% and temp. koef. 50 ppm/K. 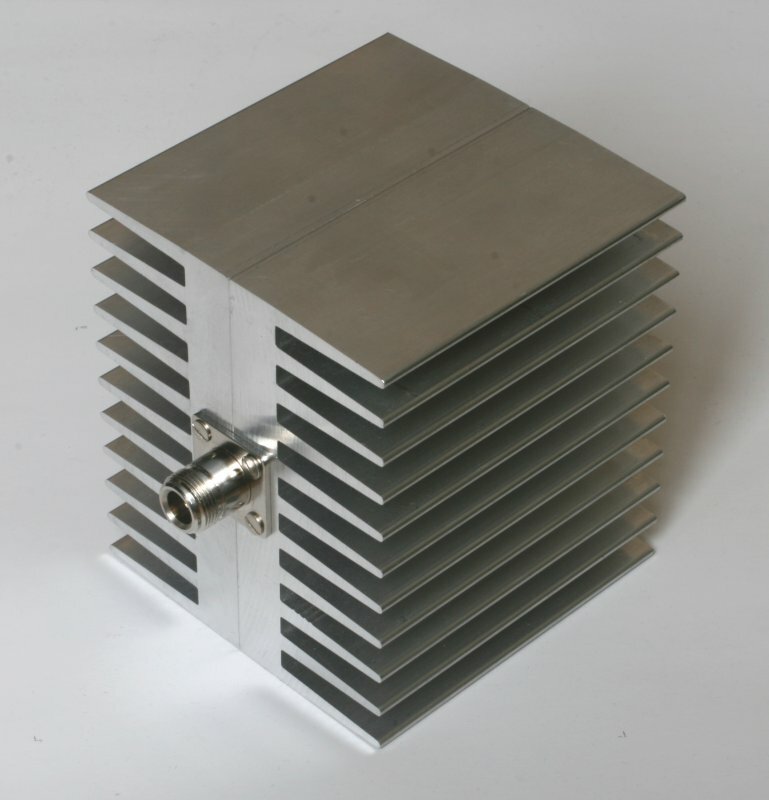 The power last is sized 100 x 100 x 116 mm.